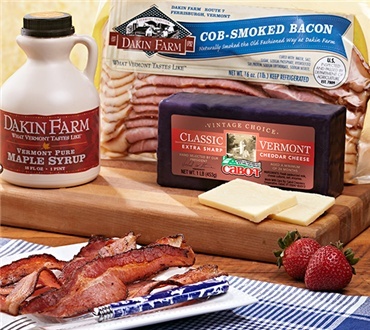 An irresistible Vermont combination! One pint of 100% pure Vermont maple syrup, 1 lb. of hand-waxed Vintage Choice cheddar and rich cob-smoked bacon. Anytime you want something good to eat and easy to put together!